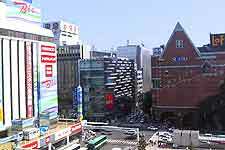 Sapporo is the fifth-biggest city in the whole of Japan and is located in the Hokkaido area. Sited in northern Japan, Sapporo is famous for its extreme winter weather and is linked to the southerly island of Honshu by the world's longest underground railway tunnel, part of which lies beneath the Tsugaru Strait. Full of family parks, wide roads lined with trees and a stunning botanical garden, Sapporo is full of tourist interest. There is always plenty to do around Sapporo, whatever the time of year, including a range of winter sports in the nearby region where the Winter Olympic Games were held in 1972. Once a small fishing town, Sapporo has continued to prosper ever since the arrival of a trading post, becoming the capital of Hokkaido in the late 1860s. Today, the city of Sapporo welcomes visitors from all over the world and boasts a number of tourist information centres, where helpful tourism advice and English brochures are readily available. Many modern and historic tourist attractions are to be found around central Sapporo, with the beautiful surrounding scenery being a definite highlight in its own right. In particular, look out for the Hoheikyo Gorge - a scenic spot of extreme natural beauty; Jozankei Onsen - a steaming hot spring where many Sapporo locals warm themselves up during the cold winters; Maruyama Zoo - sited within Maruyama Park and home to everything from Polar bears to hippos; and the Sapporo Brewery - featuring both a beer museum and guided tours of the brewery itself. 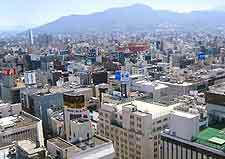 Other tourist highlights include the Mount Moiwa Ropeway - a combination of gondola rides and awesome city views; Sapporo Factory - an appealing entertainment complex comprising shopping and cinemas; Hokudai Shokubutsuen - the city's acclaimed botanical gardens, which date back more than 100 years; Nishioka Suigenchi - an enormous nature reserve bursting with local wildlife; and Odori Park - situated within the heart of Sapporo and offering the perfect idyllic retreat. 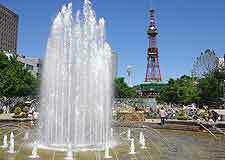 More information about Sapporo Tourist Attractions. Around Sapporo you will find many instantly recognisable landmarks, a number of which host various prominent local events. Highlights include the historic Hokkaido Jingu and its huge collection of flowering cherry trees, the imposing architecture of the Old Hokkaido Government Building, the orchestral movements at Sapporo Concert Hall (Kitara), the football matches at the all-weather Sapporo Dome, and the city's hard-to-miss TV Tower, which dominates the area and overlooks the surrounding mountains and sea from its observation deck. More information about Sapporo Landmarks. Cultural highlights abound within Sapporo and offer bags of tourist appeal. Many museums are especially notable, such as the Winter Sports Museum, which offers information about the famous Winter Olympic Games, which were hosted by Sapporo in 1972. Also popular are the ceramics at the Meissen Museum, the outdoor reconstructions at the Historical Village of Hokkaido, the Art Nouveau glassworks at the Hokkaido Museum of Modern Art, and the many dramatic sculptures within the Sapporo Art Park. 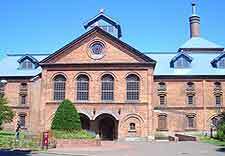 More information about Sapporo Museums and Sapporo Art Galleries. 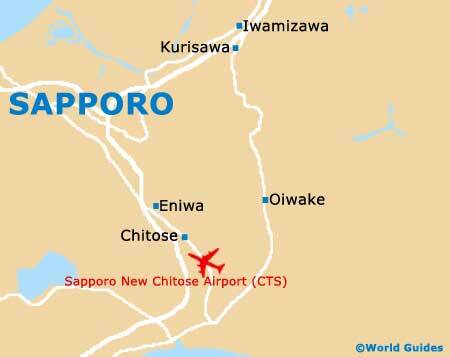 Close to Sapporo are many particularly tourist friendly cities and sights. South of Sapporo, the Hakodate area is known for its seafood restaurants and busy harbours, while nearby Tomakomai also features a thriving port area and lies next to the dome of Mount Tarumae. Also just a short distance from Sapporo and worth a look is the small city of Takikawa, where you will find the outstanding Takikawa Museum of Art and Natural History, which is full of prehistoric information and fascinating exhibits. More information about Sapporo Attractions Nearby.